Smart horse for Paul Nicholls, who is likeable type as he usually gives his best. Bar one below-par run at Cheltenham in January where he hampered, he has been in the places in all of his five outings this term - most recently again at Prestbury Park, when third in the Grand Annual to Croco Bay and was not all that far away. Won a nice prep at Fakenham, and would enter calculations here if stepping up to what looks a weak Grade One. Dr Richard Newland does not have many entries this weekend, so will be calling upon this 7yo gelding to produce his best. He too won a nice prep race before his Cheltenham exploits, when he actually beat the Paul Nicholls-trained Cyrname (who finished seventh) back in November by fifteen lengths. However, he was never involved in the Grand Annual and finishing in double figure placings, and made some amends when he was just a head second at Ascot a few days ago. Tom George will fancy the chances of Arkle fourth Clondaw Castle in this race, after out-running his pre-race odds of 33/1 in the Grade One Novice Chase at Cheltenham. Was best of the British battalion in the race after Kalashnikov and Glen Forsa came to grief - who are both in action on Thursday. Unable to go with the winner and lost second in the final 150yards when emptying very quickly. Winner at Huntingdon and Leicester this term in small fields, and would be an obvious starting point in this race. Cool Mix ended a never-ending run of seconds with a victory at Newcastle at the end of February. This 7yo grey gelding was so unlucky at the same venue on his previous start five days into the new year, and also had to finish second best at Kelso and Wetherby this term. Got his head in front now and the confidence must be flowing. First crack at the top level. Destrier arrives at Aintree bidding for a formidable hat-trick, which cannot be deemed unlikely due to the quality of the field. After his third on reappearance at Sandown back in November, he has prevailed at Southwell and at Ayr subsequently - both of which at short odds. Another who prepares to spring up to contest the top level which he has done only once in his career, when he finished fifth in last year's Dovecote. Worth another go, and spirits will be flying high. Went into Cheltenham as an unknown quantity, having fallen at the Dublin Racing Festival in the Irish Arkle - which was won by Festival absentee Le Richebourg easily. He does have a nature of a mistake in him, having fallen on his first start over fences at Plumpton as well back in October. The 9yo did go put it right at the same venue with a sensational performance to finish second to the classy Master Dino, but was never in the framework in a miserable Arkle for home trainers. Better conditions expected here, and a return to form for Knockanuss to come with it. 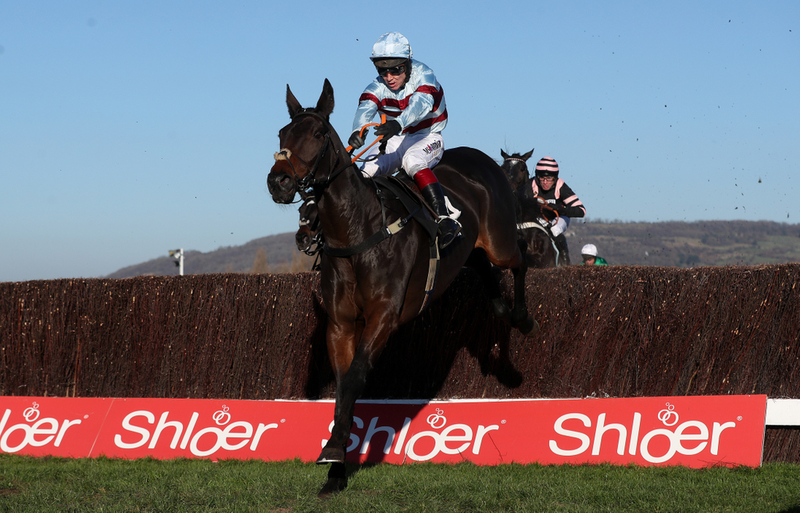 Trainer Kayley Woollacott will be hoping the real Lalor will put his best put forward in the Maghull Novices Chase, and re-demonstrate the sparkling display he presented in last season's Grade One Top Novices Hurdle at this meeting. After such a promising start to his chasing campaign, which saw him put in one of the performances of the season in a Trial back in November, he was always in trouble in the Henry VIII Novices Chase at Sandown. Track layout and the going conditions were to blame that day for this third-place finish, and connections chopped and changed between potential entries in the lead-up to the Festival. Not getting the run came to show when he was pulled up early on, and has plenty to prove arriving here with no guarantees. His fall in the Arkle not only ended his fine run of performances he had strung together, but also prevented Kalashnikov from staying on his feet. Prior to that, his last six outings saw him finish first or second - providing three wins; one of which at Roscommon in a Grade Three. Was second to Dynamite Dollars in the Henry VIII Novices Chase at Sandown when he set a blistering pace; has ten lengths superior on Lalor. Will definitely try and charge off again. Whilst Cool Mix's long run of seconds came to an end last time out - albeit in a lesser contest, Us And Them will be hoping he shares the same fortunes in this, as he was really the only one that was close to Duc Des Genievres in the Arkle if clutching at straws. Made a few mistakes and never had a chance with the winner, but stayed on well to finish next best - which was for the fourth time running, after finding Le Richebourg too good twice at Leopardstown in the last three months. Surely this is his chance to prevail.